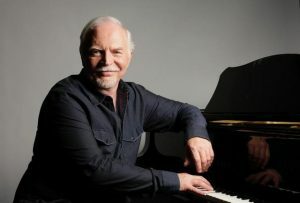 Commonly termed a classical artist, Roger Davidson has developed a fearlessly eclectic reach, both as a composer and pianist. Roger’s acclaimed catalog ranges from chamber, symphonic, and choral pieces to jazz, tango, Klezmer, children’s music, a wide span of Latin and Brazilian projects. He started playing piano at four, and taking violin lessons at eight. Following his university education, Roger, at the suggestion of early baroque music scholar Sidney Beck, went to Westminster Choir College in Princeton, New Jersey, where he began writing choral music and earned a master’s degree in choral conducting in 1985. Roger then began a professional jazz career when he attended the Stanford Jazz Workshop at Stanford University in California, studying under visiting teachers Stan Getz, Dizzy Gillespie, and James Moody. As a jazz pianist, Roger went on to be mentored by Helen Keane, who later produced his first jazz album. Tenor saxophonist Harry Allen has over 30 recordings to his name. He has performed at jazz festivals and clubs worldwide, frequently touring the United States, Europe and Asia. Harry has performed with artists such as Rosemary Clooney, Ray Brown, Hank Jones, Frank Wess, Flip Phillips, Scott Hamilton, Harry ‘Sweets’ Edison and Kenny Burrell, among others.